Catelyn Stark with the Knight of Flowers, Ser Loras Tyrell in his fabulous armor. And what appears to be a rather plain cloak; interesting. 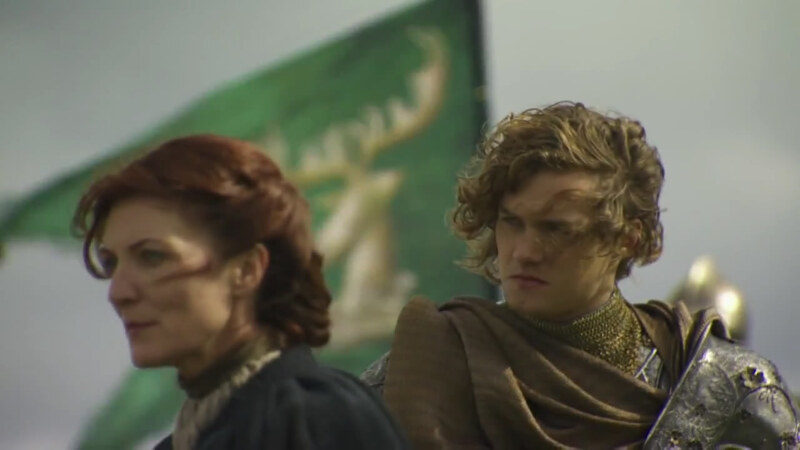 Behind, you can see the banner of King Renly: a golden Baratheon stag’s head on a green field, marrying the arms of his house to the colors of House Tyrell (though in the novels, green just happens to be his favorite color).